When Jake Owensby is consecrated IV Bishop of the Diocese of Western Louisiana on July 21, 2012, the whole church (at least in our part of the kingdom) will be present. Representing each individual church in the procession into St. Mark's Cathedral will be a banner. 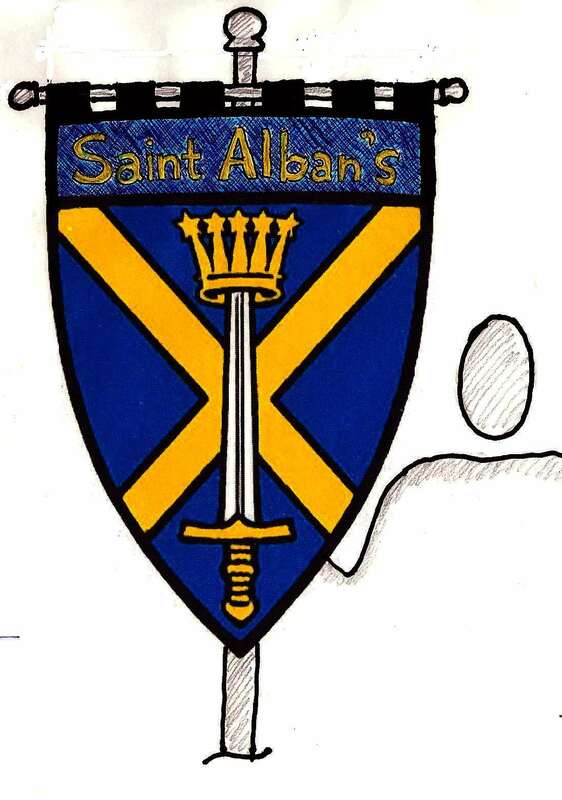 But St. Alban's didn't have a banner. Here is a sketch of a new banner that is being made for that occasion. Dottie is doing the sewing and Fr. Whit is putting the pole and stand together. We will bless the completed banner prior to its use and after the big day - it will be on regular display here at the church. The blue field with golden yellow cross along with the sword and crown is the official crest of St. Alban's Diocese in England.